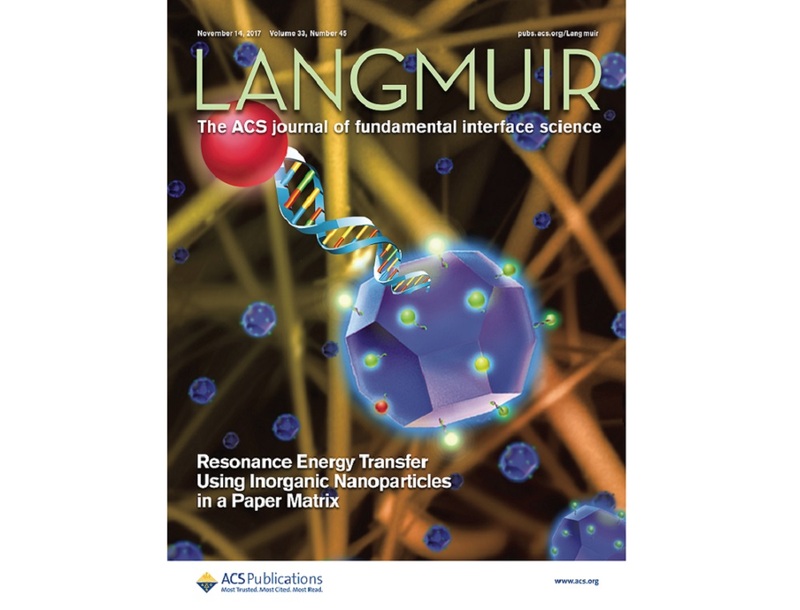 Congratulations to Michelle Wan and Yi Han for their featured artwork in November 14, 2017 issue of Langmuir! 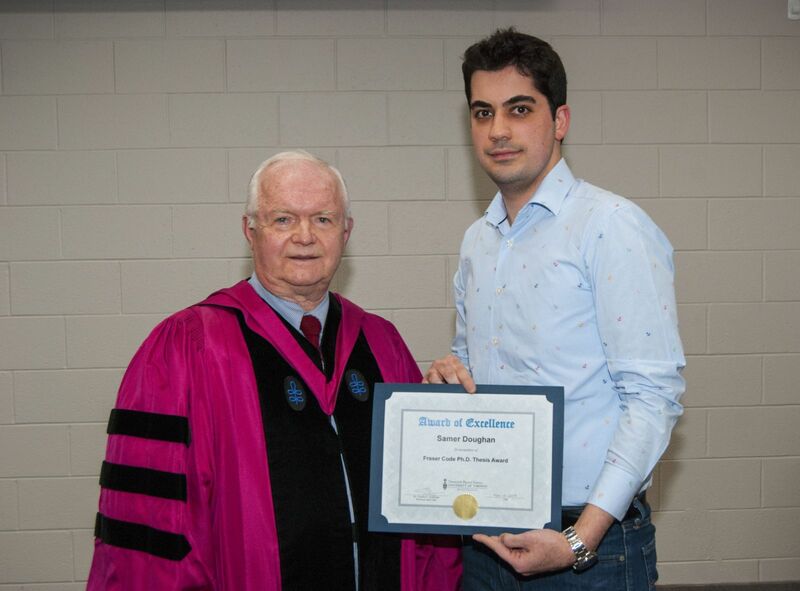 Dr. Samer Doughan received the Fraser Code Ph.D. Thesis Award on November 2017. The award is given to those that display excellence in their research, demonstrated through their final Ph.D. thesis and their oral defence. Professor Emeritus Fraser Code (on the left) established the award in 2017 with his wife, Mrs. Jennifer Code. 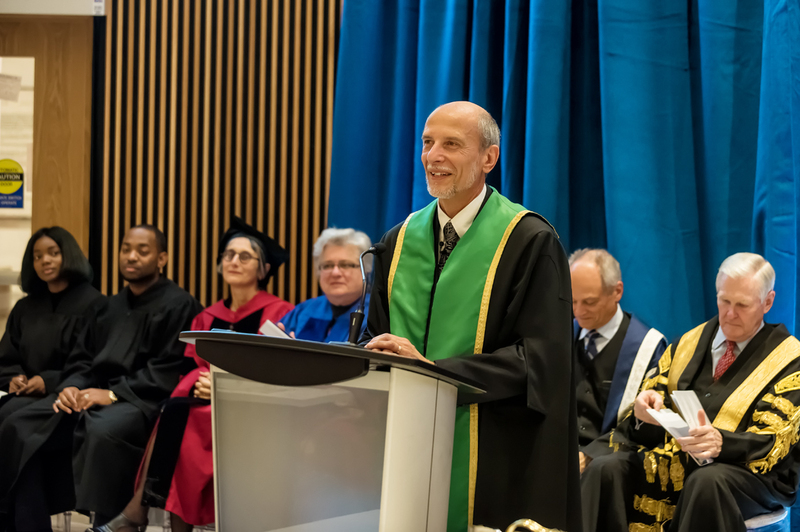 Professor U. J. Krull Officially Installed as the Vice-President of UofT and 9th Principle of UTM. 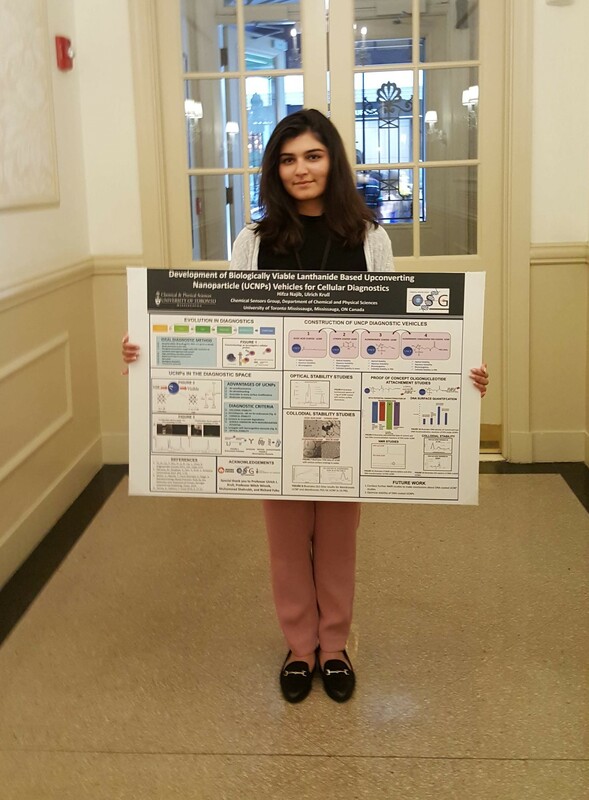 Congratulation to Hifza for receiving the Best Poster Award at the 2018 Nanomedicines Symposium! Congratulations to Karan Malhotra! He recieved his Master of Science degree this Spring. 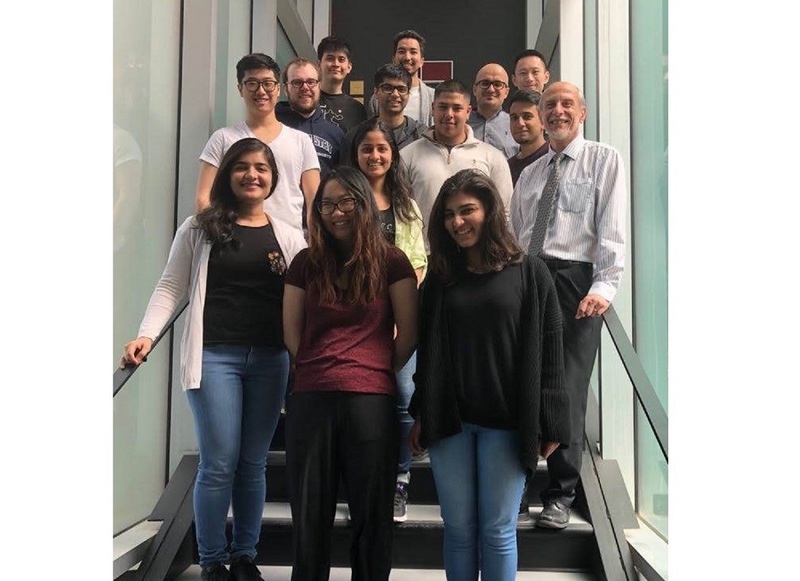 His research investigated the Detection of cystic fibrosis transmembrane conductance regulator ΔF508 gene mutation using a paper-based nucleic acid hybridization assay and a smartphone camera. Read more about Congratulations to Karan Malhotra! 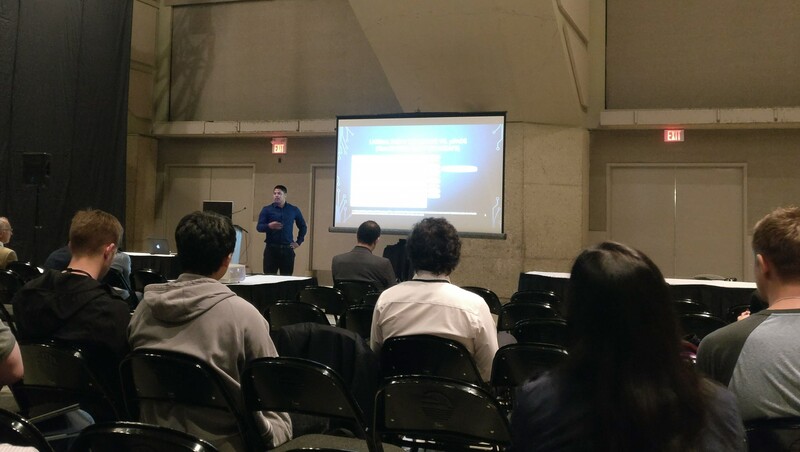 Alex Escobar and Hamna Fayyaz presented their paper-based research at the 101st CSC this year in Edmonton, Alberta. The oral presentations included their investigation of fluid flow and sample preparation in cellulose based paper. William Humphrey (left) and Grace Qu (Right) finished off their CHM489 undergraduate thesis projects with a final poster presentation. William's research consisted of understanding the behavior of cellulose paper with wax barriers under various experimental conditions. Grace utilized UCNPs and AuNPs to develop a paper-based analytical device for Thrombin detection.